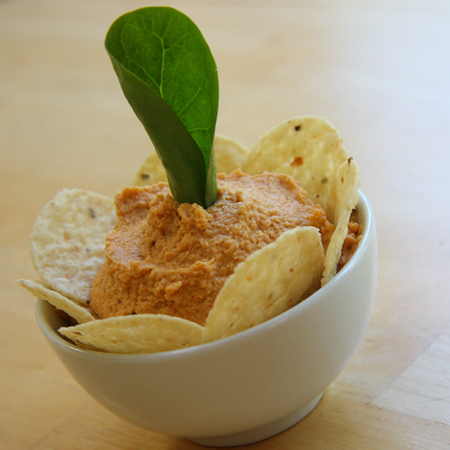 From the look of this fancy hummus, you wouldn't think that it was spicy. However, it did have a little bite to it and I didn't even put in the three chilies that it called for. That's right, three hot chili peppers in adobo! Two went along way and the hummus still had a zing of spice. It was a big hit at a recent game night I had at my house. Boy did it get eaten quickly!! Hooray for new hummus recipes! I'm definitely a fan of this one!